Acne is something commonly associated with teenagers, and while it does impact them routinely, others can get it at as well. Even adults who think they’ve long passed the age of acne can come down with a serious case! For many people, spot treatment methods are an ideal option. Depending on your particular acne, you may find that some spot treatment remedies work better than others. Use this guide to learn more about the best acne spot treatment options for you based on your needs. There are many out there, but they may not all be right for you. Do your homework before you try. 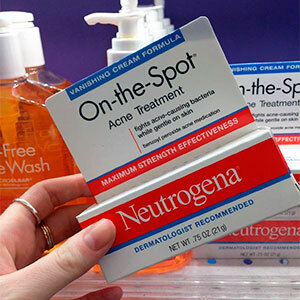 Spot treatment products are ideal for many acne sufferers in that they are OTC products that can be purchased at your neighborhood drugstore or online. In most cases, the reaction you can have from these products is minimal, so they’re a safe bet. They don’t all work for every type of acne though. For many people, certain products work much better than others. Individuals dealing with cystic acne versus basic teenage hormonal acne may need a different type of treatment entirely. Acne products also need to be chosen based on your skin type and how your skin feels at the moment. Many people also need products that will help with acne scar treatment. With all of these different options, it’s easy to understand why most people have a hard time picking the right remedy. Hormonal acne impacts teenagers regularly, but it can be a problem for adults as well. 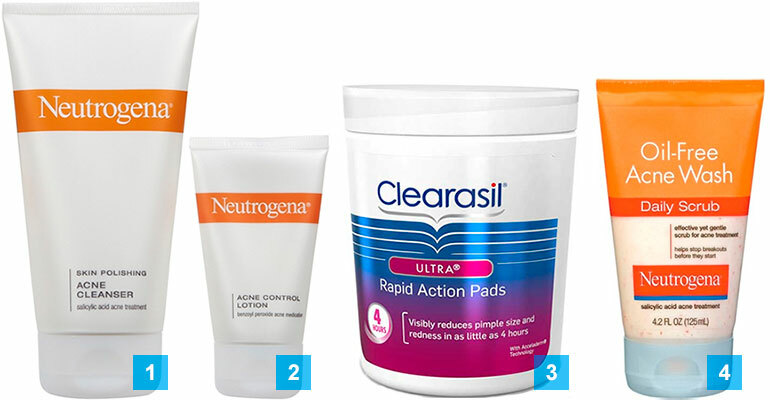 Dealing with hormonal acne can be tough, but some products are better than others. Salicylic acid-based products. Salicylic acid products exfoliate the skin and can help reduce redness for many people. These may also help reduce the appearance of acne scars if you have those as well. Glycolic acid-based products. These help exfoliate the skin gently. Pair this with a gentle face wash before using. Dealing with sensitive skin and acne can feel like a lot to handle. For many people though, they go hand in hand. The right type of treatment will help reduce your acne without inflaming the already sensitive skin. Avoid washing your face and skin too often if you’re dealing with acne and sensitive skin. Washing too frequently can sap your skin of vital oils. Avoid scrubs and exfoliating products, particularly those with coarse beads. They’ll irritate your skin more and leave it feeling sore and uncomfortable. In some cases, natural remedies for acne are best if you have sensitive skin. Natural tea tree oil can help reduce the visibility of acne while cleansing the skin, clearing up pimples. Read more here. 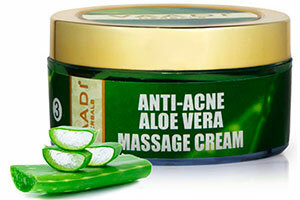 Aloe Vera is used in many acne treatments as a cleanser, and it’s ideal for reducing inflammation. Look for an OTC product that contains this ingredient to cool the skin and reduce redness. Further details can be found here. Oily skin is not an uncommon problem to have. In fact, it’s a whole skin type that many people all over the world have. While oily skin types don’t always get acne, some are more prone to it than others. For these people, forehead acne and pimples around the nose, as well as acne on other parts of the body, are often an issue. Benzoyl peroxide products. These are often too drying for people with sensitive skin, but if you have oily skin, they can work wonders. These will help with bacteria and reduce the visibility of acne scars over time as well, though they can increase redness when you first start using them. Salicylic acid products. 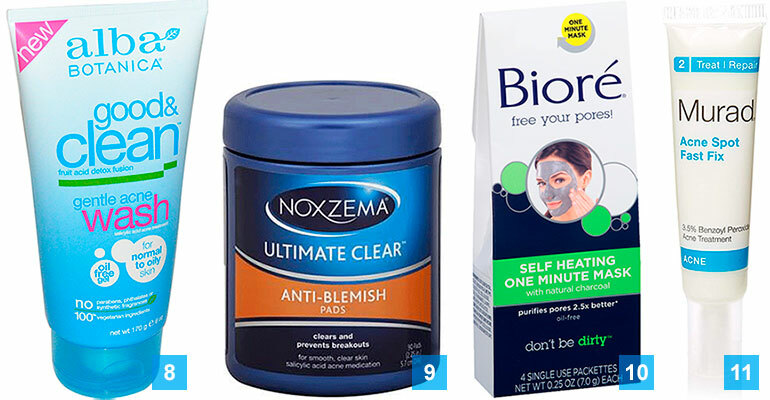 These can help dry oily skin and treat acne. Best of all, it’s a safe product that works for sorts of acne, including hormonal and bacterial versions. Salicylic acid is also a very common teenage acne treatment that you can buy in over-the-counter products easily. Essential oils are natural products that are distilled from plants and herbs. While they’re not as strong as many products like salicylic acid, they also tend to produce fewer side effects. For that reason, they’re very much worth a try when you’re dealing with all sorts of acne. 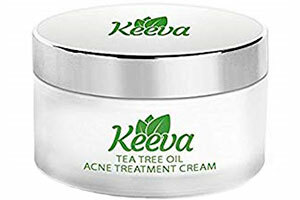 In general, the best essential oil for acne spot treatment is tea tree oil. Known to be a natural remedy for bacteria and commonly used in natural and lab-made products, tea tree oil is an age-old remedy. Combine 1 part tea tree oil with 10 parts water. Proper dilution is essential for use of tea tree. Use an amber glass bottle for storage. Shake the mixture and dab onto a clean cotton pad or ball. Gently dab the tea tree oil mixture on your problem areas. Leave on for about 30 minutes before rinsing with cool water and patting the skin dry, being careful not to rub and cause irritation. A lot of people want to know how to get rid of body acne and acne on their face. While it can feel like a big challenge, it is something that you can do. You just need to find the right product to help you. 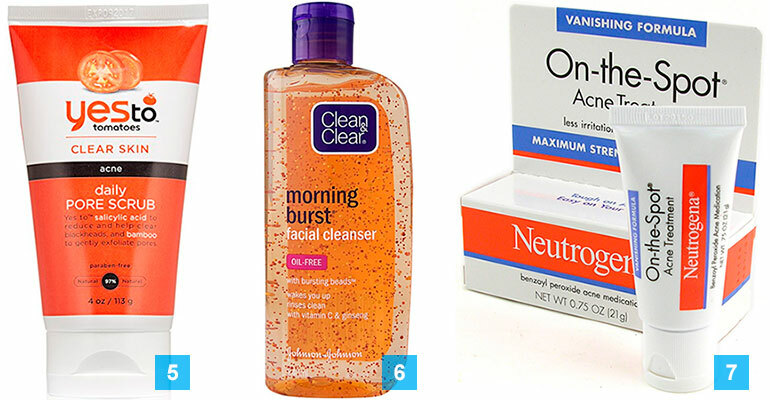 For many acne sufferers, over the counter drugstore products are effective. Neutrogena skin polishing acne cleanser. Made with salicylic acid, this easy to use cleanser is effective for the face and body. It’s also very simple to use, so it’s perfect for teenagers. Neutrogena acne control lotion. Designed to be used after you wash your skin, this product is ideal for minor acne. It can also be left on overnight, which is a plus for many users. Clearasil pads. In regular and extra strength, these wipes are excellent for teenagers dealing with standard acne. They can also help with reducing acne scars over time. Neutrogena oil-free acne wash daily scrub. This exfoliating treatment is best for oily skin and hormonal acne. It can produce more redness though, so be careful when using it for the first time. YESto Tomatoes Clear Skin daily pore scrub. Made with salicylic acid, this product is excellent for teenage acne and oily skin. Avoid it if you have very sensitive skin or dry skin. Clean & Clear Morning Burst facial cleanser. Made with gentle exfoliating beads, this is an excellent treatment for deep acne and cystic acne that can be purchased over the counter at a drugstore. 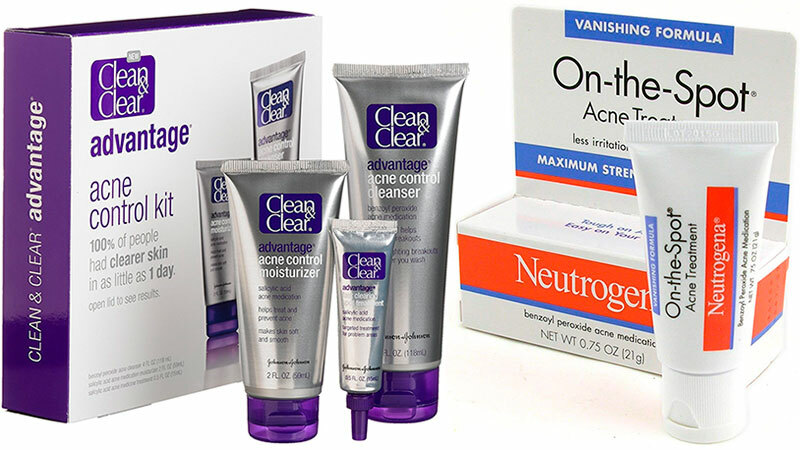 Neutrogena On-the-Spot acne treatment. A topical benzoyl peroxide cream, this can be applied directly to pimples to help dry them out quickly. It may also reduce redness for some individuals. Alba Botanica gentle acne wash. Made for all skin types, this natural ingredient-based gel is used topically once or twice per day. Noxzema Ultimate Clear anti-blemish pads. Made to wipe directly on your face, these are ideal for oily skin. They can also be used for hard-to-reach body acne. Biore self-heating acne mask. Best for adult, bacterial acne, this product can deep cleanse your skin and provide a clearer complexion. 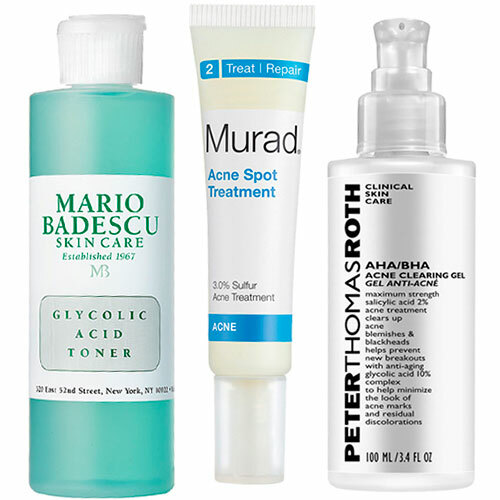 Murad acne spot fix. A high-end drugstore product, this is an excellent option for adults who want quality skincare products. Made with benzoyl peroxide, it’s also good for oily skin and teenage acne. Acne can be a big problem for teenagers and adults, and when you have it, it can feel like the worst thing in your life. The fact is that there are products out there that can help with every type of acne, from teenage acne to cystic acne. Many of those products can even come from your drugstore! It may take some experimenting to find what works for you, but this list should help. Natural options like tea tree oil products, or homemade remedies, can go a long way as well. Always test acne treatments in small amounts before applying them to larger areas of skin.